Posted 2 March 2014 by Richard & filed under Viewpoint. (iii) The failure to introduce a totally new paradigm in the operation and management of apprenticeships and once and for all disconnect them from the academic route; failure to introduce more appropriate inspections regimes for both employers and other providers of work based programmes. The latest example is the proposal to replace functional skill mathematics with GCSEs mathematics. (iv) The failure to introduce a comprehensive all-age IAG system and an extended awareness raising campaign in the media about the importance of apprenticeships. (v) One aspect that specifically should not be introduced is a loan regime and yet that is exactly what the government has done, mirroring the model for HE students with all the attendant problems that has and will cause in the future. Apprentices aged over 24 starting on level 3 or 4 programmes can take out a loan for their tuition fees and the on-job training if the employer cannot or will not cover these costs. The apprentices will start paying back the loan when their income reaches £21,000 per annum. Any loan scheme will most certainly deter people of all ages from enrolling on these programmes; quite rightly they will be reluctant to incur such debts. In particular the new Advanced and Higher-level apprenticeship programmes must encourage and attract committed and enthusiastic people who will include precisely those who would have already been deterred by the HE loan regimes. As a result of a very low take up (just 569 advanced learner loans taken up in nine months since their introduction) the government have said the policy was a mistake and intend to discontinue the loan system but so far nothing has happened. However if the loan regime ceases key questions need to be answered e.g. what will the funding mechanisms be for apprenticeships during the continuing period of austerity! (vi) The problem with placing employers at the centre of the apprenticeship programmes in the government’s current model is more associated with the feasibilities and practicalities that will confront employers – many employers do not possess the resources and administrative infra-structure necessary and at present are trying to ride out the financial crisis. If the government is serious they must support the employers with long term and sustainable strategies and funding and equally importantly recognise their problems. Also the current inspection regimes conducted by Ofsted are totally inappropriate for work based training e.g. making grades 1 and 2 as the chief criteria for accrediting training centres. Even the latest concessions about continuing to accredit providers who drop to grade 3 will still be subjected to additional conditions and monitoring. Many providers and employers are being deterred from getting involved with apprenticeship and other training programmes. Many employers being excluded have excellent networks with training providers and other employers, which is an essential feature for successful work based training. (vii) A classic example of the inability to divorce the apprenticement programme from the academic route is the intention to replace functional skills competence with GCSE mathematics and English. Functional skills reflected what work based students required and were therefore fit for purpose as they were delivered in real or realistic working environments and developed relevant applied skills as opposed to sterile classroom context exercises. If I were a gambling person I would put money on that functional skills will be dropped and GCSE maths will be put in their place – a crying shame! (v111) Equally important, as has been said many times, an effective system of Information, Advice and Guidance (IAG) has to be introduced which provides valid, honest broker ship and up to date data and information on the economic and business futures open to people of all ages. A recent CIPD survey highlighted again the inadequacies of IAG programmes and the lack of involvement of employers with schools and colleges. Survey findings showed that 58% of employers did not engage with schools and equally worrying 24% of employers interviewed had received no applications from 16-24 year olds for employment or apprenticeships again reflecting an information gap between education and the world of work. One of the great fears I have about apprenticeships is that many employers will abuse the apprentices by giving them trivial tasks like making coffee, running messages and cleaning the toilets etc. Know doubt as the numbers of apprenticeships increases reports about abuse will appear! This sad state of affairs existed with many other work placed/experience and those operated under the Manpower Services Commission (MSC). The programmes must be relevant and enable the apprentice to gain meaningful skills and competences. The Value of Qualifications and the Question of Parity of Esteem! Posted 22 February 2014 by Richard & filed under Viewpoint. The Value of Qualifications and the Question of Parity of Esteem. The theme of this piece is as relevant to the plumbing profession as it is for all other vocational and technically orientated qualifications and occupations. It addresses the general perception that these qualifications are second-class and of low status when in fact they are strategically important subjects and occupations. This in turn has created a view that colleges and their programmes are second class expressed in an attitude that if you cannot get into university then the second next option is a college; this perception has persisted ever since the establishment of the sector. It is a depressing situation as the staff in colleges are committed professionals and deliver key subjects in the technical, commercial and vocational disciplines. One recurring issue in qualifications reform is how to express and demonstrate equality between the so-called academic and vocational awards i.e. using some educational jargon ‘parity of esteem’. This country is almost alone in being preoccupied with this notion/concept but it figures significantly in any debates or proposed reforms of the qualification frameworks. Other countries with successful vocational education systems do not see it as an issue because they recognise that the qualifications are intended for different people with different occupational intentions and need to be fit for purpose and are therefore seen as possessing equal value and status. Sadly this country sees it differently preferring to rank all the awards and extol the superiority of academic awards and degrees. Just read any of the recent reports and reviews e.g. Richards and Perkins. Reforms always seem to strive for simplicity and convenience with regard to vocational qualifications coupled with an avoidance of any significant reform to the academic awards e.g. GCSE and ‘A ‘levels. Also the constant reference to the importance of university education does not help the debates and Career information, advice and guidance which emphasises that university education is the best option for school/college leavers is not being impartial but is misleading. This inevitably creates the idea of first and second-class awards and the constant use of the term parity of esteem perpetuates and reinforces a false and unchallenged assumption of inequality between the routes and resultant qualifications. What is required once and for all, is a long term commitment to creating qualifications that are fit for purpose and which recognise the defining aspects of each set of qualifications for their respective aims. Each route is vastly different and requires different techniques/approaches in such areas as assessment and curriculum content and emphasise that value of the qualification that is fit for purpose and is relevant for the skills, knowledge and competences required in the workforce. The idea of routes in itself is not a negative thing as long as the value of each route and automatic negative value judgments are not made about the content or the ability of the students and their vocational achievements on leaving compulsory education. The routes must allow fair and easy progression and transition if the learner’s aspirations or competences change. The concept of parity of esteem should be banished to the dustbin of history in the debates on qualifications and instead the focus should be on their ‘fitness of purpose’. In fact I would argue that the obsession with the concept of parity of esteem has held this country back from developing an effective system of vocational education and training. One essential feature must be emphasis on the strategic importance of vocational awards and the associated skills, knowledge and competences that will create a flexible, productive and highly qualified workforce. First published in Education and Training Matters for Plumbing Lectures for the CIPHE in Spring 2014. Posted 20 February 2014 by Dennis Redley & filed under Counterpoint. Vocational education paved the way for learners of all ages to acquire necessary skills for technical industries. In the past, it was integrated in the mainstream curriculum. Over the years, this integration between academic and technical education was phased out, creating a significant lack of qualified applicants for jobs involved in such industries. It can be attributed to the disappearance of the previously blatant support of corporations to the technical curriculum. Before, companies involved in the technical market were offering partnerships for schools as part of their campaign to build a workforce. Today, less than likely will anyone find training services from private companies in the school system. In 1907, the Smith Vocational and Agricultural High School were institutionalized, becoming the very first technical school in Massachusetts. With its mission of preparing high school students for an academic diploma and an official Certificate of Occupational Proficiency, many schools all over the world have failed to make such seamless integration. Its emphasis is on building skills that aren’t easily taught within the four corners of the traditional classroom. These include analytical skills, resilience, teamwork, and work ethics and habits – all traits required for a successful professional life. Time and time again, students have had the pressure of keeping their skills in the dark due to the stigma that comes with ‘skilled labor’. For example, a high school senior who is interested in car engines and mechanics might want to develop this interest into a career, yet family and friends might convince him or her otherwise. The thought of making a career out of ‘hand-based jobs’ makes society cringe. Occupations such as massage therapy, cosmetology, and auto-mechanics are considered below than the regular 9-to-5 office desk job. As a tip, how2become’s Richard McMunn said present your value as a potential employee. Provide the company you’re applying for the skill set you’ve gained and how you think it would be beneficial to them today and in the long run. It takes one confident applicant to defeat the social norm. Unknown to some, a four-year degree is not the only way to achieve success at work. In fact, many jobs in our modern and global society can be considered vocational or technical. Many professional jobs also require certain vocational skills, and it reflects on the increasing mismatch between jobs and job seekers. 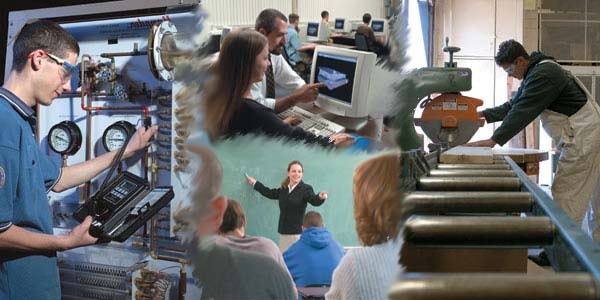 In the 21st century, technology drives technical education more than anything. There exist online portals and discussions, even going as far as becoming references for absolute self-study. Smartphones and tablets become Swiss army knives for all sorts of technical jobs that doesn’t require a full-blown desktop computer. Ultimately, vocational education of both secondary and post-secondary tier should be given more attention. The old private-academia partnership might be a thing of the past, but the government has all the capability to create trainings and specialized classes. Additionally, the basic unit of the family is where everything should start. “[B]eing able to begin legitimizing vocational education in a district may also depend on successfully re-educating parents regarding the value of occupations that aren’t high on the social status scale,” noted Phillips. Society has devalued manual skills. It’s time to reintroduce it as an equally valuable necessity as cognitive skills, and thus should be developed on a more local level. Dennis Redley is a contributor to several e-publications and blogs centering on education technology. He has volunteered as a youth tech teacher in many boroughs, gathering experience for his future as a technology professor. You may talk to Dennis on Twitter @dredleyone. Posted 9 February 2014 by Richard & filed under Biographies & Pen Portraits. Effecient elementary instruction should be available to every child to enable the working class to benefit from scientific instruction. In order for this to be effective, regular attendance of the child for a sufficient period must be obtained. Elementary schools should teach drawing, physical geography and the “phenomena of nature”. All those who are not obliged to leave school before the age of 14 should be taught science. Parliament and the nation should consider immediately the reorganisation of secondary education and the introduction of more scientific teaching. Certain endowed schools in the relevant districts should be reconstituted as science schools. Exhibitions open to public competition would enable children of every grade to rise from the lowest to the highest school. Fees alone cannot adequately fund colleges and schools of scientific education: the State, the localities, endowments or other benefactors could contribute. Centres of industry are ideal locations for such colleges and schools due to the possibilities of combining science with practice, and also because some pupils would not be able to live far away from home. The agricultural districts in particular of England in general do not enjoy sufficient State grants for scientific instruction. These provinces of England are entitled to increased funding. Increased pay for science teachers would probably ensure the establishment and permanence of elementary science classes. The Public Libraries and Museums Act should be amended to enable public bodies to charge slightly more for scientific purposes. The managers of teacher training colleges should devote more time to instructing elementary teachers in theoretical and applied science. Teachers in elementary day schools should be paid on the basis of the results for teaching science to older scholars. The universities of Oxford and Cambridge should grant degrees in science. A closer relationship between government institutions for scientific in London would increase the efficiency of each institution. Members of the Samuelson Commission included Swire Smith (Woollen manufacturer), John Slagg (MP and a cotton magnate). Philip Magnus and Henry Roscoe. Witnesses included Thomas Huxley (Dean of College of Science), G. Wedgewood a senior partner in Wedgewood and Son and William Siemans (President of the Midland Institute). The Future Shape of Work? Posted 27 January 2014 by Richard & filed under Viewpoint. The exponential growth of technological advance is now greater than the ability of people to keep in touch with the technologies and its consequences i.e. there is an increasing gap between technological advances and the ability of society and people to manage it. Jobs have been lost because of automation and the increasing use of robots in a wide range of industries. Part-time employment, zero hours employment and self employment has increased partly as a result of contracting out of services. Expectations of life-time employment with a single employer has significantly declined in many occupations. Employment in small companies and self-employment have increased. The level of knowledge, competences and skills for employability has risen, while the number of unskilled and semi-skilled jobs has declined. Reduced dominance of large companies and increased importance of SMEs. Increase in female participation in employment. This list is not by any means exhaustive but attempts to reflect the multitude of factors and inter-connections between them driving the changes. However these changes will accelerate with the continuing advance in technologies particularly with automation, robotics, 3D printing and nano-technologies and the need to create new occupations associated with these. People will increasingly moving between paid employment, self-employment, voluntary work and periods of learning depending on their circumstances and personal decisions. Employer demand – provider supply: the mismatch between employer demand for particular skills and the supply of skilled people from providers. Learner aspirations – employer demand: the mismatch between what learners aim to achieve through education and training and the skill needs of employers. Provider supply – learner aspirations: the mismatch between the programmes offered by providers and the expectation and needs of the learners. Although the problems that arise from these mismatches are constant the potential solutions vary with time depending on government policies, the dynamics of international competition, what resources exist and the changing structure of post-16 learning and skills. However these mismatches will inevitably become even more pronounced with the uncertainties that will exist in the future. However in order to create a successful economy the education and training system must recognise and adapt to the complexities and challenges that future patterns of employment and work will present both to employers and employees. This is why education and training is critical in recognising the challenges and being able to respond quickly and effectively to these challenges. Achieving the necessary checks, balances and matches is going to be difficult because the uncertain and increasingly volatile and dynamic environment will be further complicated by the multitude of players and stakeholders involved. Finally the situation will inevitably be exacerbated by politicians who will continue to tinker and intervene with policies that relate to employment, the national economy and education/training etc. One example of the negative influence of government is the time factor that comes from the inertia of governmental policies as well as the legal and social systems to adapt and recognise the urgency of the changes that will be required. A quote from an RSA report ‘Government, the law and social systems take months and years to react; modern companies work in hours and days’ (1). The urgent need to improve the levels of scientific, mathematical/numerical and technological literacy and methodology of the workforce and society in general. Urgent attention is required to tackle the low productivity of British workers – 20% lower than the French and 32% lower than Germany. More effective managements of workers recent surveys have shown employees are spending company time on personal interests e.g. sending pointless emails, on twitter and face book – a sad statement about their commitment, loyality and motivation towards the company. This country must prepare people to work in industries that are engaged in producing products at the higher end of manufacturing and further up the value chain. Linked with the previous statement the developments associated with Information and Communications Technology (ICT) will challenge existing business, cultural, economic social practices and structures. The need to manage large data/information sources/sets will require people to become more able to effectively and efficiently access, select, evaluate and analyse data. Equally importantly companies will need to become more effective in ‘mining’ the massive amounts of data/information that will benefit their businesses. The need to further develop basic (i.e. numeracy, literacy and IT skills), the wider interpersonal skills (i.e. communication skills, working in a team, planning/managing one’s own learning, managing change) and generic skills (i.e. reasoning skills, scheduling work and diagnosing work problems, time management, work process management skills, evaluating and appreciating information, risk management, managing change and planning skills). Develop a greater understanding of the values of how society, government and businesses work. The increasing need to recognise the challenges of globalisation and greater competition and the importance of knowledge of foreign languages and cultures and the desire by businesses to locate anywhere in the world where greater levels of flexibility, productivity and profits can be realised. Respond to the impact of the myriad of ecological issues e.g. resource- efficient processes, smart and green developments across many sectors like transport, water conservation, alternative energy supplies, biotechnologies etc. The sad reality is that the way current business practises and capitalism operates are not conducive to protecting the environment and incompatible to a green agenda so a new paradigm for businesses is urgently required coupled with a fundamentally reformed model of capitalism! For example over 70% of current employment is dependent in one way or another on the continued use and exploitation of fossil fuels. Education and training must recognise and respond to these transitions as the boundaries between work and non-work become more uncertain and the skills for work and citizenship and work and life become more complex and the required skills themselves become less clear and converge. Skills are a slippery concept and require careful monitoring and must recognise adapt as the world of work itself changes. People leaving education and training must possess new sets of skills and competences in addition to the existing ones in order to cope with the future employment challenges and in turn contribute to the country’s economic health more effectively. (1) ‘Redefining Work’. RSA. 1998. Why No Licence to Practise? Posted 23 January 2014 by Richard & filed under Viewpoint. I would like to focus on three inter- related issues namely the existence of rogue traders and training providers and the reluctance of this country to introduce a licence to work for a number of occupations. These issues have sadly created an unfair and negative view of a number of professional trades including, construction, hairdressing, hospitality, plumbing and the majority of practitioners employed within them. These issues continue to be highlighted by the media and press but in spite of some recent high profile cases little is done to tackle let alone resolve the problems. Interestingly very little is ever discussed in any vocational context about the concept of a licence to work. A number of long standing historical practices have contributed to this unsatisfactory state of affairs. There is a British culture of laissez- faire and reluctance to introduce effective mandatory regulation, robust inspection regimes and long term national strategies. This is coupled with the espousal of voluntarism regarding accountability and standardisation which is engrained/endemic and largely responsible for a wide range of historical and current weaknesses in many aspects of British society and employment practices. A culture of amateurism and continued neglect of science and technology coupled with an indifference to entrepreneurialism and innovation also weakened the development of an effective technical education and training system. This latter point contributed to a perception that technical subjects were inferior to the so-called academic ones and that people working in the practically orientated occupations/trades did not require a licence to work as had been introduced in other countries. Throughout the 19th, 20th century and even today this culture of voluntarism has continued in spite of evidence internationally showing that we lack effective national systems for technical education and training and employment legislation in a number of practical and technical professions. Legislation if it exists is too often lax, inconsistent and ambiguous and open to abuse. This unsatisfactory situation has allowed unscrupulous employers, some individuals and training organisations to exploit situations and find loopholes around existing legislation and thus create the so-called rogue culture. Practising professionals who provide a quality and ethical service are sadly often identified with this negative and damaging image. Legitimate operators who conform to professional practices and existing legislation have been penalised financially by being inundated with bureaucratic systems and submerged in paperwork whilst attempting to run honest businesses. The operation of the free market, particularly since the 1980s has also allowed other unscrupulous people to establish training organisations that offer high cost but totally inadequate training with promises of an accelerated entry into work. Gimmicky incentives are often offered including free tool kits and ridiculously short training programmes with very little work-based learning, further producing unqualified people apparently entitled to entry the labour market. Recent evidence, some shown in the media, highlights a number of these outfits operating almost with impunity because of the lack of any really effective inspection regime and which allows them to exploit the lax legislation. Even when identified they close down and reappear under other company names and in some cases with different managers. In order to begin to tackle these rogue cultures a licence to work needs to be introduced as quickly as possible into this country and practitioners should be required to undertake continuing professional development programmes (CPD). This is important as apprenticeship programmes become prominent in providing practitioners. Training providers must also be subjected to more rigorous inspection regimes and be named and shamed if they attempt to circumvent the law. Many practically orientated occupations deserve to be recognised as a strategically important profession carrying high status and engendering confidence in the eyes of society. Legitimate practitioners need to be recognised as such and the areas in which they work valued and not denigrated by a few rogue operators. Professional bodies representing trades must campaign hard to rectify the current situation and lobby for a licence to work and require practitioners to become members of their institutions/bodies. A robust and active membership will greatly assist the credibility of the professional bodies and add to the influence they have when approaching the government on key issues and concerns. In addition they should strengthen their CPD programmes to elevate the skill levels of practitioners and be very involved in apprenticeship programmes. (An amended version first published in Education and Training Matters (ETM) for CIPHE by SNG Publishing Ltd. In Spring 2013. Posted 16 January 2014 by Richard & filed under Biographies & Pen Portraits. Author, Biologist, Educator and Research S cientist. 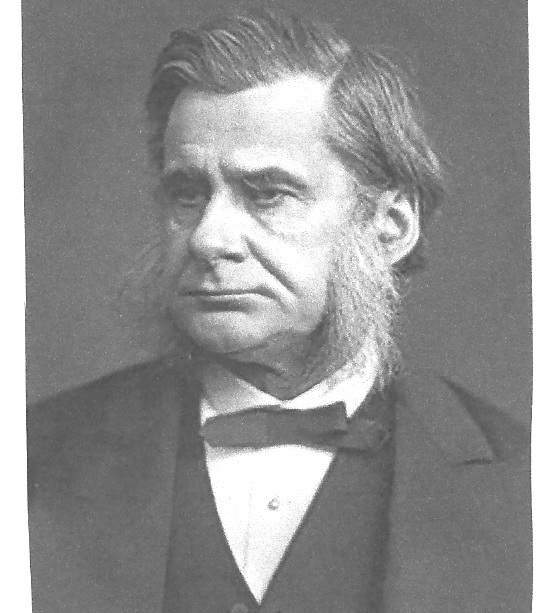 Thomas Huxley was born in Ealing in 1825 son of a mathematics teacher. Mainly self taught he began a medical apprenticeship and soon won a scholarship to the Charing Cross Hospital where he gained an MB degree in 1845 from University of London. At the age of 21 he signed on as an assistant surgeon and was involved in surveying the seas around Australia and New Guinea aboard H.M.S. Rattlesnake. During this time he continued his studies and carried out fundamental research on marine invertebrates the detail of which he sent back to England. On his return the England he found that his research papers had been enthusiastically received and some had been read at the Royal Society and as a result he was soon acclaimed as a pioneering and brilliant biologist in his own right and was also elected as a Fellow of the Royal Society in 1851. In 1854 he became a lecturer in Natural History at the Government School of Mines that later became the Royal School of Mines and was later appointed as the first Dean of the Normal School of Science that eventually became the Royal College of Science (RCS) in 1889. He remained as joint Dean of both colleges until his death in 1895. He was a very strong advocate of technical education and like others before him e.g. Lyon Playfair and George Birkbeck fought hard for the subjects to be more fully recognised, valued and funded. He realised the importance of good science teaching and how essential it was that scientists and technologists received an effective grounding in the sciences and technology. He actively supported the various Parliamentary Bills on Education and was often used as an expert witness or as a full member on a number of Royal Commissions e.g. the Devonshire Report. Thomas Huxley was appointed a Member of the School Board of London in 1870 and played a major part in establishing the London elementary education system. As a Board member he argued strongly for liberal education. He frequently lectured to working men’s’ classes and believed that the detail of even the most complex topic could be communicated if carefully and sympathetically explained. He met Charles Darwin in 1856 and became a great friend and supporter of his ideas. Following the publication of the ‘Origin of the Species’ Huxley became a passionate supporter and defender of the theory of evolution so much so he became known as ‘Darwin’s Bulldog’. He also helped to refine the theory and published a seminal book ‘Evidence on Man’s Place in Nature’ just five years after the ‘Origin of Species’. Huxley was an energetic individual pursuing a wide range of causes and interests. Throughout his life he worked incessantly as a researcher, scientist, teacher and writer. He lectured widely including at the Royal Institution where he held the Fullerian Professorship. Huxley wrote a fascinating and influential book entitled ‘Science and Education’ in 1883’ (1). The book is a collection of his writings and lectures and contains a number of very interesting essays including one on ‘Technical Education’ written in 1877 (pages 402 to 426) and an ‘Address on behalf of the National Association for the Promotion of Technical Education’ delivered in 1887 (pages 427 to 451). He was elected President of the Geological Society in 1869 and was President of the Royal Society between 1883 and 1885. (1) Huxley. T.H. ‘Science and Education.’ Macmillan. 1905. Posted 3 December 2013 by Richard & filed under Articles. There’s still a great deal of empty rhetoric about the urgent need to rebalance the country’s economy but so far little evidence of any real long term action. The politicians have fixated on the need to re-establish an effective manufacturing base neglecting or avoiding the other equally important aspects that caused the problems in the first case. They remain wedded, indeed addicted, to the financial services and the city which is now widely discredited and to a large extent got us into the current crisis. Baling out the banks and financial institutions and printing money through quantitative easing reinforces the view that the country’s economy will continue to be based on consumerism and housing bubbles and a misguided belief in a debt and loan regime. One crucial element in creating a more balanced economy with a revitalised and effective manufacturing base is a highly qualified workforce. This is where apprenticeships play a key role in producing a highly qualified workforce and must become the top priority on the education and training agenda. I would also suggest that for this to become a reality the apprenticeship programmes must be preferentially treated in order to attract and retain people. Apprenticeships along with technical and vocational education and training have been perceived as second best when compared with the supposed academic programmes such as GCSE/GCEs/Degrees. One aspect that should not be introduced is a load regime and yet that is exactly what the government has done, mirroring the model for HE students with all the attendant problems that will cause. Apprentices aged over 24 starting on level 3 or 4 programmes can take out a loan for their tuition fees and the on-job training if the employer cannot or will not cover these costs. The apprentices will start paying back the loan when their income reaches £21,000 per annum. Any loan scheme will most certainly deter people of all ages from enrolling on these programmes; quite rightly they will be reluctant to incur such debts. The new Advanced and Higher-level apprenticeship programmes must encourage and attract committed and enthusiastic people who will include precisely those who would have been deterred by the HE loan regimes. The evidence already (November 2013) indicates that only 77 have applied against the target set by the government of 25,000 for the period of 2013/2014. The massive challenge facing this country can be exemplified in the recent survey carried out by the Royal Academy of Engineering that highlighted the need to create 830,000 professional scientists, engineers and technologists between 2012 and 2020; that represents over 100,000 per annum. Bearing in mind the pathetic number of graduates currently in these disciplines from Further and Higher Education Institutes, private training providers and apprenticeship programmes these targets represent an impossible task whatever the government says. The additional money promised, namely £49 million, is totally inadequate to tackle this problem considering it could take a generation to tackle and resolve the problems in supplying people with qualifications involving scientific and mathematical specialisms. The long standing reluctance among people to pursue these subjects particularly in the technical and vocational e.g. engineering and applied science disciplines has cultural roots and has been a major contributing factor to the low supply of people into engineering and manufacturing industries. Current 25% of skilled workers in manufacturing and engineering are immigrants – some commentators put the figure closer to 50%. Other problems associated with engineering apprenticeships are the high costs of such programmes and that demand for places far exceeds the supply. The time to recoup the costs of a typical engineering apprenticeship programme is 3.5 years and there are already 11 applicants for every place currently available. This latter point is due to the fact that there are relatively few engineering companies in the country and equally worrying is the fact that employers still adopt a short term view of investment in training – another example of the British disease of short termism which fails to see the long term benefits in investment. There has to be a fundamental shift in government policy across a wide range of issues including massive investment in technical and vocational education, training and apprenticeship programmes. This must be coupled with developing consistent policies and longer term support to colleges, employers and students wishing to pursue such disciplines even if it means introducing positively discriminatory and preferential approaches for financial support for the apprentices. In fact because of the importance of this issue cross party support is urgently needed with effective partnerships between professional bodies, employers and employer organisations and other interested parties. Equally important, as has been said many times, an effective system of Information, Advice and Guidance (IAG) has to be introduced which provides valid, honest broker ship and up to date data and information on the economic and business futures to people of all ages. Employers must also be encouraged through tax incentives to offer programmes of Continuous Professional Development (CPD) to all their employees to make certain that they are members of a flexible, adaptable and productive labour force. Industries must also increase their productivity, creativity and competiveness in order to compete in the ever expanding global markets. Recent surveys have stressed the importance of apprenticeships, with the Centre for Economics and Business Research and Barclays identifying that the economy could be boosted and benefit by £4.4 billion pounds a year with apprentices entering the workforce. One survey estimates each apprentice could contribute £214 per week to the economy on entering the workforce. Posted 1 December 2013 by Richard & filed under Viewpoint. The recently published Perkins Report (1) highlights again the woeful state of the supply of qualified people especially females into engineering and the manufacturing industries. As usual it is a worthy and at times an insightful document but it joins innumerable ones addressing the same issue published over many decades. This country shows very few world class attributes but one is the ability to commission committees to write reports focussing on strategically important themes whose recommendations the government of the day or its departments then fail to seriously consider or action the recommendations and as a result no meaningful resolutions of the presenting problems results. Inevitably the reports after being considered by government departments or its advisers are placed on shelves where they gather dust. Many reports, Committees of Enquiry and working parties over many decades, indeed centuries, have identified the long term problems of low take up by students at all levels of education and training in technical and vocational orientated subjects and careers in engineering and manufacturing. Too often many of these reports and enquiries create vapour trails with no real substance or long term impact and too often fail to identify the more fundamental problems that have created the situation. At the heart of this long standing problem is the reluctance indeed at times hostility towards studying such subjects as mathematics and the physical sciences and I have highlighted over a number of years the prevalence of this cultural element. A long standing cultural hostility towards scientific, mathematical and technical subjects must be recognised as it has resulted in failure to create a home grown workforce – this was recently identified by a survey showing that 20% of skilled people in employment are immigrants. To resolve the problem a long term and consistent set of policies need to be implemented recognising that it cannot be a short term fix and it must be accepted could take a generation before positive results are forthcoming. Also throwing money briefly at the problem will also fail to deliver long term solutions; any investment must be carefully managed and monitored long term. One worrying feature following the financial crisis of 2008 is that people leaving the workforce now are more qualified and educated than those currently entering employment – this reflects the declining standards of education and training in this country over a couple of generations and concurrent with an emerging freelance economy which creates employment that is part time, poorly paid and often requiring low skills. Instead an economy should be created that is based on sustainable skilled jobs and living wages i.e. real jobs and real wages. The Perkins Report does not highlight these key factors rather, preferring to provide a set of recommendations tempered as usual with nods towards the high regard they attach to the so called academic qualifications and that Britain has a great record in engineering achievement – true – but as history shows many of the great engineers, inventors of the industrial revolution never attended any formal educational institution (2). They were self taught or came through an apprenticeship programme. In addition history is replete with examples where many great inventions and their inventors were seldom supported by the banks or government e.g. the jet engine, hover craft, the tilting train. It will be interesting to see if the Perkins Report has any real lasting impact on this strategically important issue. J. Perkins’. DBIS. November 2013. See references to this on this website. Posted 24 November 2013 by Richard & filed under Articles. What are the key elements for rebalancing the economy of this country? A great deal has been said about one essential element namely the restructuring and rebalancing of the manufacturing base of the country. Although this is a crucial element there are other equally and challenging aspects after the disastrous situation following the financial crisis of 2008. The obsession and addiction with the financial and banking service which created the crisis continues unabated in spite of statements by the government and other political parties for major reforms. The politicians still seem wedded to an economy that is dominated and disproportionally skewed towards consumerism and property and founded and driven by a culture of permissive debt accumulation. Currently little has been done to carry out any fundamental reforms or to bring to account the financial terrorists, market manipulators and banksters who created the crisis coupled with the attitude by government that banks and financial institutions are too big to fail and must be bailed out! It is as if the country is in a coma where economic policy is involved. with politicians unable or unwilling to rethink new and more radical solutions. At present it seems that we are coming to the end of this particular industrial age along with the financial operations that underpinned it – a new paradigm is urgently required. The current financial architecture is fundamentally flawed and requires a radical review and reform. One major element in rebalancing the economy is to establish a totally different paradigm of running the economy moving way from one based on debt and loans to one based on savings and a set of sound fiscal policies. It seems the politicians have learnt nothing about the causes of the financial crisis and the activities of banks and financial institutions which has become more like a gambling casino industry. Many commentators have argued that this culture has prevailed with little regulation, high risk taking, and market manipulation, an obsession with derivatives driven by over complex, abstract and suspect algorithms. In addition the use of high-speed/frequency trading further highlights the criminality of the stock exchange. It seems as the pure mathematicians rule the roost in the City and Wall Street! These coupled with a blind trust in a largely unregulated market and the disproportionate influence of multinational organisations. In a sense bank vaults have become casinos full of roulette wheels and other gambling games managed by accountants and pure mathematicians! Require banks and other financial organisations to establish methods of financial support to employers that are more conducive and appreciative of their problems during a period of recession. That financial support must be less bureaucratic and intrusive and encourages companies to grow and contribute to a revitalised export recovery. SMEs particularly should be preferentially treated in terms of interest rates and periods of repayments. Again artificial bubbles are being created around housing and stocks and shares and inevitably both will collapse – note that the current household debt is £1.43 trillion! compare this with the GDP of the country which is approximately £2.40 trillion. But note there are other debts e.g. pensions, corporate etc. which when totalled far exceed the GDP. Also the policy of privatisation is flawed and should be reversed asap! In order to restructure the country’s’ economy a new fiscal policy must be established with tight regulation of the financial and banking services and closer monitoring of multinational corporations with practices of the past consigned to the dustbin of history. At present there is a real danger of repeating the mistake of the past by perpetuating the debt culture and a zombie economy through quantitative easing; printing money and allowing companies to trade while hiding irrecoverable debt and maintaining the false belief that the stock exchange represents the real economy is no way forward. Many of the activities of the financial world are on a spectrum much of which is invisible so that people have no or little idea what is going on. Couple this with weak regulation arising from the fact that a number of the regulators/inspection agencies are working both sides of the equation being in league with the banks, financial organisations and the multi-nationals. The current problem was caused by debt and surely the solution is not further debt creation. London and the city have a reputation of being the international centre for financial terrorism and operating the most lax and permissive financial control in the world attracting tax dodgers and speculators from around the world – nothing to be proud of! The continuing imbalance in the economy is very unfair in a number of ways banks, financial institutions and international corporations are protected at the expense of the individual. It is a culture that takes money from the have not’s and gives it to the have yacht’s! The 1% are ok whilst the 99% are not. In order to rebalance the economy and address the current fundamental problems a series of long term consistent reforms are needed. Only an economy that produces products and services that are high up the value chain that the rest of the world wants will succeed in the long term in the global economy. It must also have a productive, flexible and adaptable work force with an adequately resourced and supported education and training system (see other articles on this website). This country destroyed its manufacturing base and replaced it with a service based economy largely dependent on financial and banking services with the City, London and the South East as the epicentres. This has now been shown as a false and unsustainable philosophy. There needs to be a redistribution and devolution of resources and powers to the other regions of England as well as a continuing policy of devolution for the home countries. With a more equitable distribution of powers and increased local and regional governance each part of the country can play its part in contributing to its own economic health as well as the rest of the country. If the EU vote happens let’s hope the result is to stay in – if the country votes to leave the results will be dire for manufacturing, productivity, competitiveness and global activity. Re-establish a viable, innovative manufacturing base producing high quality products and services with a well trained and versatile workforce. Promote apprenticeship programmes by treating them preferentially in terms of funding and apprentice and employer support (see article on apprenticeships on this website). Create a real economy based on sustainable skilled jobs and living wages i.e. real jobs and real wages instead of the free lance/ (rip-off) economy that now exists. Create an export led recovery coupled with long term investment in infra-structure. In the country we only produce 25% of the engineers we need, ( whilst other commentators say the figure is near 50%), and as a result the country has to import skilled workers from abroad. Raise the profile of engineering as it is sadly as a low level occupation requiring few skills e.g. just repairing cars and domestic appliances etc. Improve productivity levels which continue to be very low in comparison with other countries. Improve the essential skills and quality of managers across all sizes of companies. Support new business flotation and SMEs through tax incentives and low interest loans. Adequately support colleges and other training providers to produce sufficient qualified people for the newer industries and technologies with a particular emphasis on technical and vocational disciplines. (A recent survey be the Royal Academy of Engineers highlighted the need to produce 830,000 professional scientists, engineers and technologists between 2012 and 2020 – that is even before a reinvigorated manufacturing base is created – if that ever happens!?) The country needs engineering technicians, incorporated and chartered engineers who comprise the engineering teams (see article on this website) that are fundamental to successful manufacturing organisations. Introduce an effective system of Information, Advice and Guidance (IAG) on learning, jobs and the economy for young and older people. A recent survey showed that 78% of students said they did not receive enough information about careers in engineering. Make a fundamental shift away from an economy that is based on finance and banking particularly bearing in mind that this country has been massively discredited as a trustworthy leader in finance at home and abroad so it will be difficult for it to re-establish its global influence in this area. This essential transition will hopefully create a more sensible and balanced economy with a wide range of strong industries producing high quality products and services for domestic and overseas markets. Create a more balanced manufacturing base with a significantly reduced dependency on the armaments and defence industries with their highly questionable export activities to nations with poor human rights records which have been sadly supported by successive governments. Reduce the influence and powers at present centred on London and the South East by devolving powers to the regions and the larger cities of England that would allow them greater freedoms to innovate and build of their undoubted strengths. Introduce independent regulatory and inspection bodies that will monitor financial institutions and multinational companies and call them to account promptly. Emphasis national creation and growth that is based on carefully considered, consistent and long term investment in industries that are productive and responsive to world markets. Move away from the linear economy that operates at present to a circular economy namely to one that recycles products and reduces waste. A linear economy justifies its existence by making products that have a limited life of possess built in redundancy with little intention to recycle or renew existing products. However rebalancing the economy will not be easy as long as the government remain committed to the ideological belief of the financial-politico complex/axis. Continuing low productivity levels – yet again international surveys highlight that the country has the lowest levels in the G7 nations and one of the lowest in the EU being approximately at 20% lower when compared with other EU countries. The continuing decline in levels of numeracy and literary. A recent OECD skills survey highlighted that England is the only country in the developed world where adults (55-65) are more literate and numerate than the younger adults. Even so and more concerning is that 24.1% of adults have mathematical skills equivalent of 10 years of age. So approximately 8.5 million adults possess very low mathematical and literary skills being at the foundation levels. The continuing decline in educational standards across all sectors of education and training. Just read the international tables when they appear. The reluctance to learn other foreign languages at schools/colleges and universities e.g. since the year 2000 44 Universities have closed foreign language programmes. The continuing inability of creating a nation-wide high speed, efficient and secure broad band network according to a recent FSB survey (July 2014) is having a negative impact on more than 47,000 SMEs who have to use phone connections. The future shape of the British economy will critically depend on the creation of more successful SMEs and micro companies. In regard to broadband provision at present providers Sky/BT/Virgin/Talk Talk et.al. find it more profitable to install their delivery systems e.g. fibre optic into domestic properties. The packages that are so profitable include elements that commercial companies do not require e.g. downloading films and music but these are the aspects that make money SMES and micro companies urgently require tax incentives and a far more sympathetic and supportive banking and financial services. Also empty and vacuous headline grabbing statements from politicians about the importance of SMEs that lead to no positive long lasting action are not wanted. An educational and training system that recognises and addresses the issues of skills shortages and gaps and what skill sets are required in the future. Providers must be supported by government and employers to create a long term policy on skills without misguided policies. The creation of a very high set of quality apprenticeships frameworks with the major players being employers and professional bodies. Increasingly employers are employing people who ‘can do things and not necessarily those that know things’ and the increasingly academic curriculum being created in the country does not recognise this reality and continues to ignore the consequences of this approach. This example of continual academic drift further significantly weakens the so-called commitment by the government to introducing vocational elements into the national curriculum. It casts aside the development of manipulative skills that are so important in providing a sound foundation to many vocational and technical disciplines and reinforces the low regard for such programmes. Note: Many of the associated themes raised in this article appear in the viewpoints, the histories and other articles on this website.